For some reason, our house did not come with a spark arrestor, so cinders could easily escape and light our oh-so-flammable roof on fire. Alternately, rain could fall directly into the house, via the chimney. 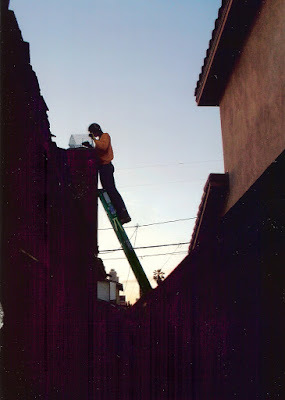 We were able to locate the last available spark arrestor in southern California and I convinced Chrissy to climb the ladder I placed on the top of the fence. 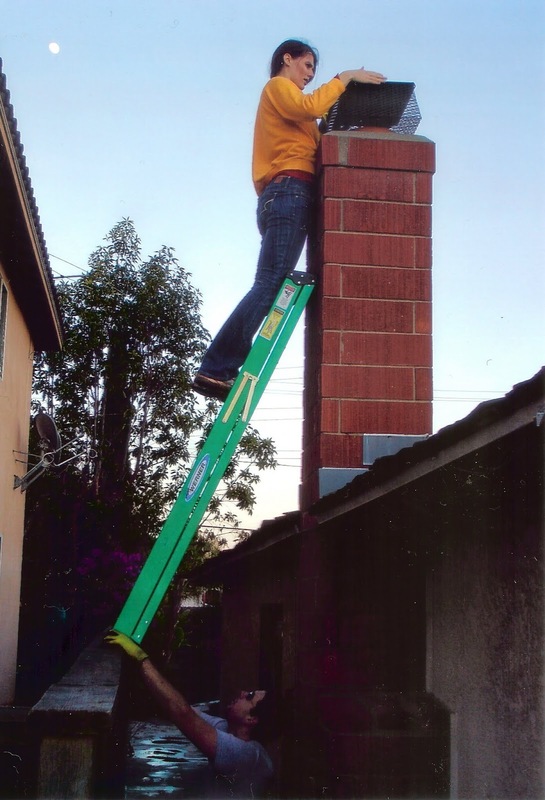 Probably not OSHA approved, but it got the job done. Photo credit goes to Uncle Mike. Instagram effect credit goes to my scanner.